Keep in mind that everything you're about to read about "The Blood Plant" used to be a much bigger problem than it currently is. Sometime in mid-2017, it appears that the plant has decreased production or otherwise limited their emissions in a way that made the town-wide odors go from a problem that we had to deal with 4-5 times every week, to one that was only 2-3 times per month. Now, as of the early summer of 2018, the odors seem to have been reduced even further, to the point that even I don't think about them anymore. I can remember one, maybe two times that I've smelled something bad coming from the area of the plant since June 2018. With that said, I'm continuing to track the history, news and developments with the "Blood Plant" here on this website. If you're a resident or visiting Sibley and you've detected what you think is the odor and fumes I've described below, I'd be very interested in hearing from you. Please email me at joshua@nozzlegear.com. Our correspondence will remain private, you will not be identified. In 2013, the Iowa Economic Development Authority gave $150,000 in financial assistance to a business that moved into an old factory building in Sibley. Not long after the business got up and running, locals began to refer to the facility with the not-so-affectionate moniker "The Blood Plant" thanks to the absolutely terrible, wretched odors emanating from the building. We're not just talking an "oh, that was a little stinky" kind of smell. We're talking a rotten-blood-mixed-with-stale-beer, "I wonder if I should see a doctor after breathing that" wall of fumes. The putrid air seemed to hang over much of the town for 3-4 days every week. It was particularly nasty on hot and humid summer days. At the time I lived very close to the offending facility. It was absolutely terrible, we couldn't open our windows in the spring, summer or fall thanks to the seemingly malignant stench. Driving down 10th Street would make you instantly regret using your vehicle's air conditioner. And need I mention: the facility is located right down the block from Superfoods, the only grocery store in town. One Sibley resident, who lived near the plant at the time, regretted purchasing his home due to the "overwhelming aroma". It was so bad for him that he was forced to turn off his air conditioner in the summer, and his wife's in-home daycare had suffered due to its close proximity to the source of the smell. After living so close to "The Blood Plant", I eventually grew fed up from what I perceived as total inaction from the city council and government of Sibley. I resolved to use my skills as a professional developer and programmer to create this very website. The goal: document as much as I could about the situation, call out the city on what, to me, looked to be a streak of inaction and ineffectiveness, and hopefully bring about some change. 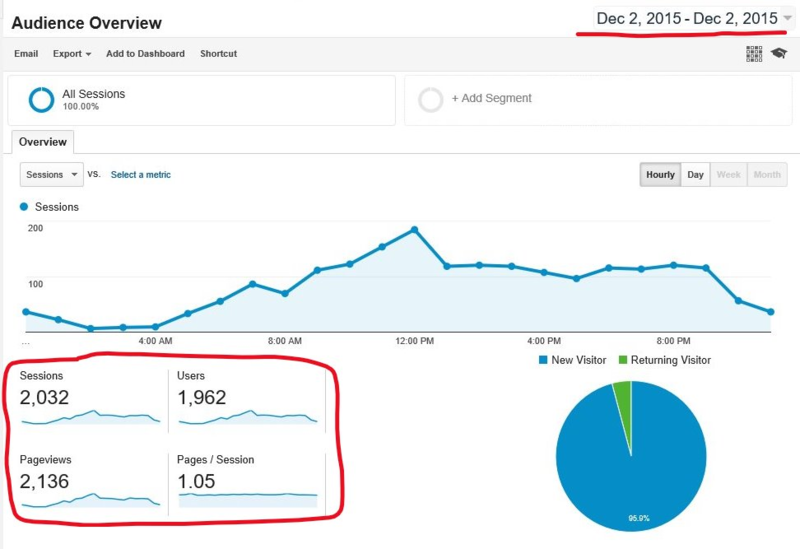 In fact this website was surprisingly effective at drawing attention to the issue with over 2000 visitors on just one day in December of 2015 - largely from the Sibley area alone - and many more since then. It's also been a bit of a sticking point for some of the more salty in town, culminating in a misguided attempt to scare me into taking this website down, First Amendment rights to criticize the government be damned. In December of 2017, the City of Sibley sent a threatening letter to me,demanding that I take down this website or else they would sue me. Their letter claimed that this website "libels the City of Sibley, interferes with recruitment of businesses and new residents, and negatively affects property values". The letter also asserted that this website was responsible for the clinic in town losing a prospective physician. Fearing a lawsuit that, at the time, I couldn't afford, I updated this website to be more fair to the town itself. At the same time, I contacted both the American Civil Liberties Union of Iowa, and the Electronic Frontier Foundation, asking both organizations for help. The legal directors of both organizations reached out, and in February of 2018 I, with the help of the ACLU of Iowa, filed a lawsuit against the City of Sibley for attempting censorship and violating my First Amendment right to criticize the government. One month later, we won and dismissed our lawsuit by settling with the City after they agreed to five terms (detailed here). At that time, and despite what the City claimed in their threatening letter, the odors from IDP were still a problem in Sibley. However, I will freely and easily admit that the severity of the problem had been significantly reduced by that point, to the point that I no longer consider it a major nuisance. Where before you could smell the odors 4-5 times each week, you might then have smelled them 2-3 times per month. Now in the early summer of 2018, they've been reduced nearly completely.Keep in mind, though, that the "Blood Plant" has sued the City of Sibley for $5.5 million in Federal Court, and I fear if they win they'll go back to polluting the town every day. Iowa Drying and Processing has sued the City of Sibley for $5.5 million in Federal court. In their lawsuit, they claim that the ordinance the city has used to levy fines against them is unconstitutional and arbitrarily enforced. A scant few weeks before the City's court case with IDP was scheduled to proceed, both sides have agreed to dismiss their lawsuits against eachother. Court records did not indicate the reason for dismissal, and as far as we know there has been NO agreement made about the odor. Neither the City administrator or City attorney were available for comments, nor were any IDP officials available. However, an attorney who works with the City attorney on the case commented that both parties had decided to "let [the matter] sit for now", and that parties felt that it wasn’t worth spending more money to settle an issue that is "pretty much-taken care of." Nearly $40,000 in fines have been issued to the "Blood Plant" by the City. Local businessman [...] says he has seen people walking down the street and covering their noses. He says the odor has definitely hurt business in town. IDP has been listed for sale for $5.5 million. They have also filed a counter-suit against the City, asking that the court prevent the City from continuing to cite IDP for nuisance violations. The City's court case against IDP has been postponed until July 2017, with "neither side pushing the issue very hard at this point" (despite the smells). The City's attorney says the plant has agreed to only do limited drying at the plant "from now on and not to do any rendered product". When asked why the case was put off for nearly eight months, the City attorney said "there’s no real reason on either side to wait until July except that both sides hope the plant will be sold before that time". Following the hearing mentioned below, the Sibley city council has issued a ruling on the issue. They have found from the evidence presented at the hearing on March 28th that the emissions from the IDP property constitute a nuisance under both Sibley city code and Iowa state code. They have found that the plant's emissions are injurious to health, indecent, or unreasonably offensive to the senses, and that IDP knows its facilities create this odor. Following the ruling, the City of Sibley had ordered IDP to deposit $50,000 into an escrow account held by the City of Sibley, which would have been used to hire and pay an engineer to study IDP’s operations and make recommendations. The money also would have been used to abate any future nuisances. However, IDP had until April 11th, 2016 to deposit the funds into the city's escrow account, but they failed to do so. The city council has now authorized City Attorney Harold Dawson to file a petition in District Court seeking an injunction that will force IDP to abide by the earlier court order. The City of Sibley has finally begun fining IDP for the stench in the air, but these fines have so far been ineffective. There is currently an open case in the Osceola County District Court regarding the fines, and a public hearing is scheduled for March 28th at 9:30 A.M. If this problem affects you at all, we strongly encourage you to show up at the public hearing on March 28th to voice your complaints. The hearing will be held in the courthouse in Sibley on March 28th at 9:30 A.M.. In the mean time, please call the Sherrif's Department at 754-2556, the City of Sibley Office at 754-2541, or Harold Dawson's office at 754-4601 to make a complaint.